We all know not to tempt fate by leaving valuables in plain sight, but do we know what items are actually on top of a burglar’s shopping list? Money is the number one thing that every thief is after. They’re constantly on the lookout for quick and easy access to a wallet, handbag or even loose coins in the console of a car. And even though cash is harder to come by these days because more and more people are using cards, electronic payments and even mobile phones to make payments, it’s still the number one target for burglars. If they do get hold of any money, they can conceal it quickly and easily and can spend it on just about anything, anywhere without arousing suspicion. Jewellery is another top target for thieves. In fact, a report from the Australian Institute of Criminology revealed that jewellery had been stolen from 22.6 per cent of properties that had been burgled whilst 84% of thieves surveyed by Which? Magazine said that jewellery was the top thing they used to look for when they burgled a property. Sentimental items and family heirlooms might mean the world to you, but they mean nothing to a burglar, so always keep your treasured valuables carefully concealed and well-protected. Laptops and digital devices also highly sought-after. Electrical goods like televisions, personal music devices and DVD players used to be among the felons’ favourites, but as technology has advanced, these items have fallen out of favour. Modern TV sets and desktop computers are also too large and unwieldy for a single person to carry. 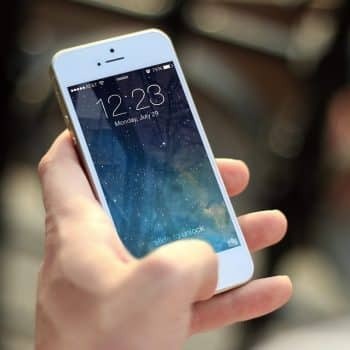 Burglars are after modern digital devices like laptops, tablets, iPads and gaming consoles because they’re easy to grab and carry and of course, they’re fairly easy to sell. Mobile phones are also sought-after items because they’re highly portable and easily sold. Keep yours close to you and if you do put it down, don’t leave it in plain sight. The Which? Magazine survey also found that 37% of thieves would have looked for a watch if they broke into a property – so you should be locking your doors and windows at home and maintaining your security standards if you don’t want to lose your precious possessions. CRAVED is an acronym commonly used to describe the type of goods that thieves look for and it stands for ‘concealable, removable, available, valuable, enjoyable and disposable’. The acronym is a good way of remembering to look after your assets and not to be careless about leaving them lying around where they can tempt burglars or provide easy pickings. The best way of keeping your valuables safe is to make sure that your doors and windows are secure and installing (and using!) a home alarm system. CCTV cameras are also an effective deterrent against thieves and are a surprisingly affordable home security option. 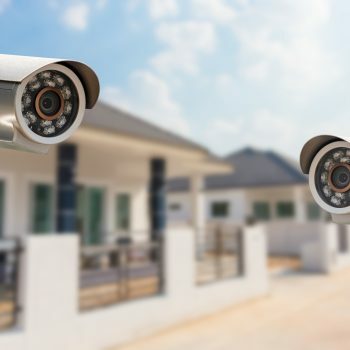 The key point is to install high quality home alarms and CCTV systems so that you ensure ongoing reliability and protection AND you need to make a habit of using your alarm – even when you’re at home. For practical advice about how best to secure your property and your possessions against thieves, talk to the professionals at Crown Security. They are established leaders in home security in Perth and have a wide range of quality home security products and systems designed to keep you safe. Call 08 9400 6000 for an obligation-free quote.